Under new ownership, Hatteras and Cabo yachts will focus on its new Fort Lauderdale-based Hatteras Cabo Yacht Center, tapping Cabo’s former sales vice president Don Smith as the general manager of the center earlier this month. The company had begun to move away from a traditional dealer stocking model just prior to Brunswick Corp.’s announcement early this year that it planned to sell the brands, which occurred just about the time the new yacht center was up and running. With the exception of “a couple straggler units,” most of the field inventory is gone, Ward said. 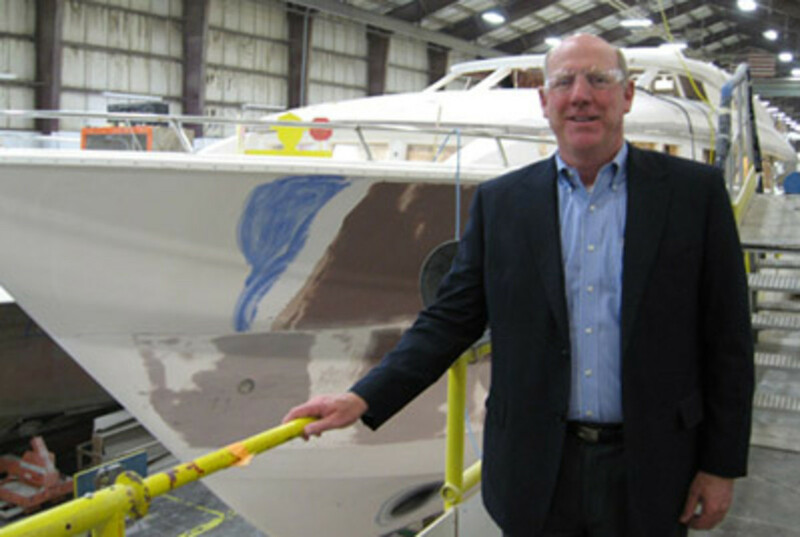 Smith had spent more than four years with Cabo prior to his departure in June 2012, when he became vice president of sales at Bertram Yachts. He has worked in sales since 1990 for companies that include Chris-Craft, Galati Yacht Sales and MarineMax. After the brands were on the market for six months, Brunswick sold them Aug. 6 to Philadelphia-based Versa Capital Management LLC affiliate Navis HCY Acquisition. Versa announced that Ward, a 24-year marine executive whose experience includes roles with Boston Whaler and Mercury Marine, would continue to lead Hatteras and Cabo as president and CEO. Versa reinforced to dealers at a forum last month that it bought the company to invest in it, to grow it and return it back to its greatness, and that it was keeping its management team, Ward said. See Tuesday’s Trade Only Today for the second of two stories based on the interview.